Now we get into the city we spent my birthday in! 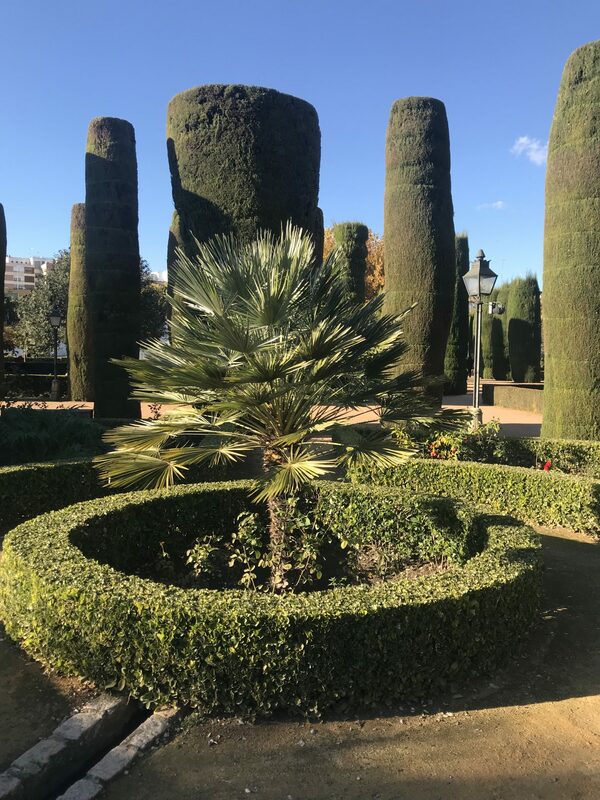 We took the train into Córdoba for a day/night mainly as a means to break up the trip between Barcelona and the more southern part of Spain (en route to pt 4 of Spain – Ronda). We really didn’t know what to expect and once we got there we were SO glad we had picked this place randomly through our travel planning. 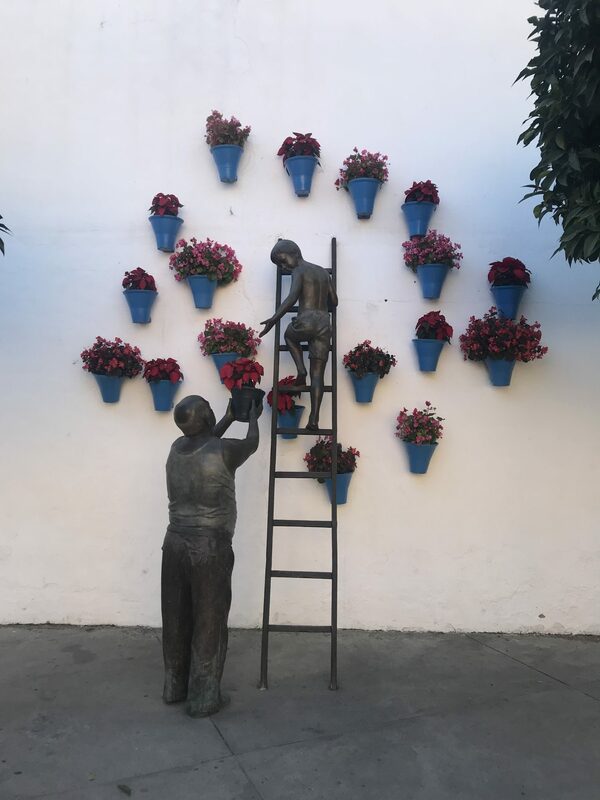 Córdoba is in Andalucía. 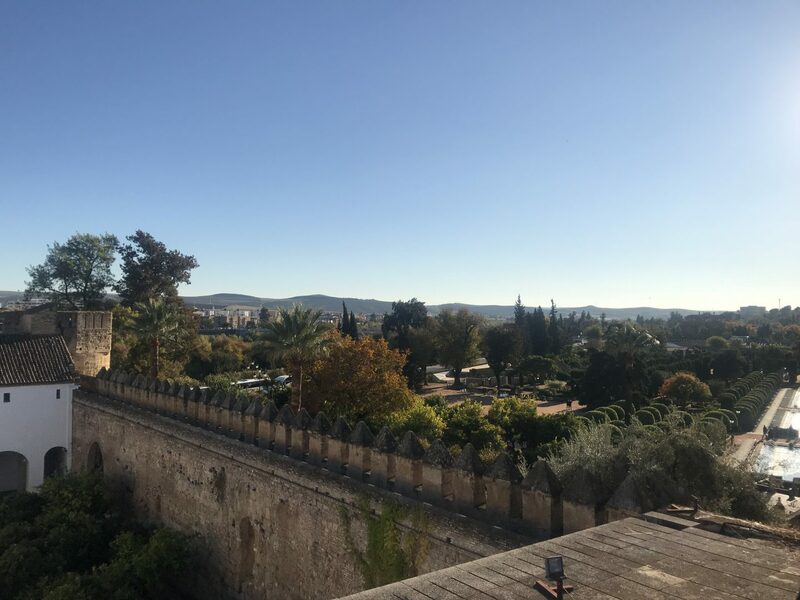 It is home to the second largest Old town in Europe and our hotel, NH Collection Amistad Cordoba, was located within the old walls of the city. **Quick note that this hotel we SO cute. 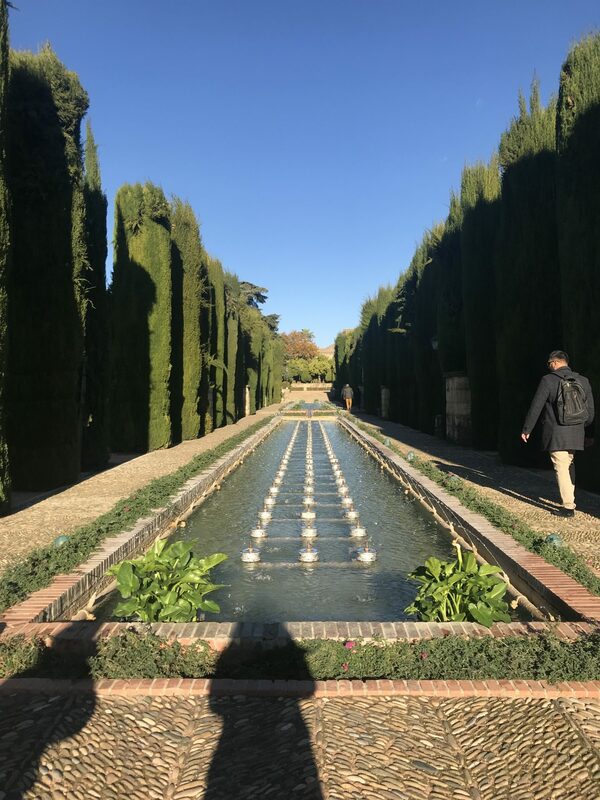 It had a beautiful courtyard and the staff was amazingly friendly and helpful. 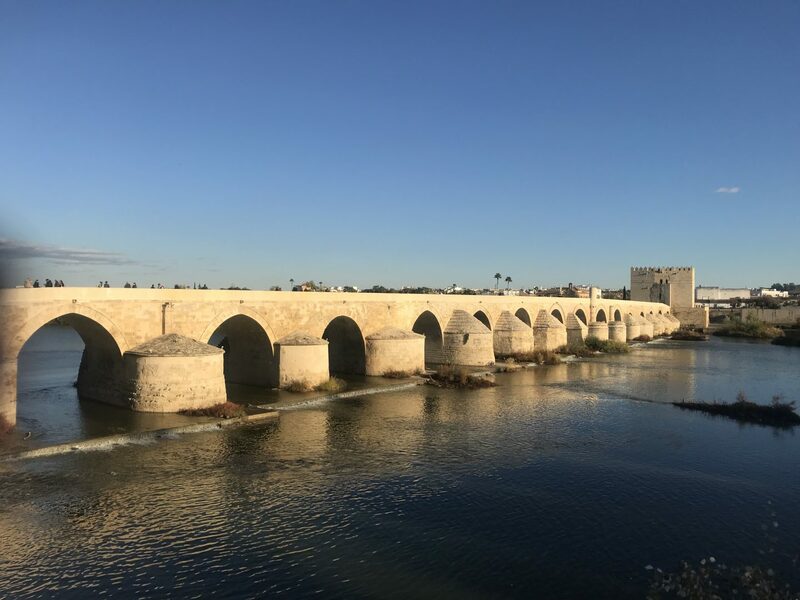 ** Córdoba was a Roman settlement before being colonized by Muslim armies in the eighth century. We fell in love with the architecture in this city. It’s so well preserved from its history and you really do feel like you’re stepping back in time. 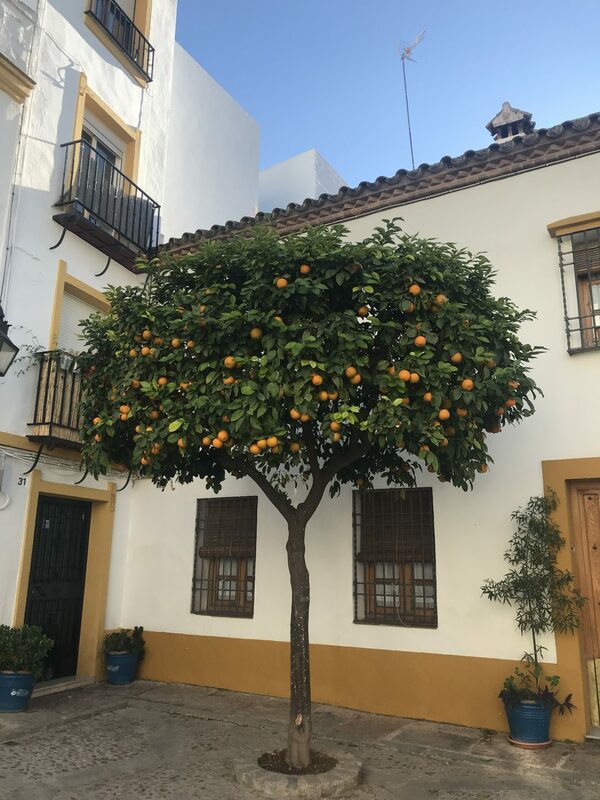 One of the little things that I loved the most was the streets being lined with orange and lemon trees. They added pops of color to the already beautiful roads. 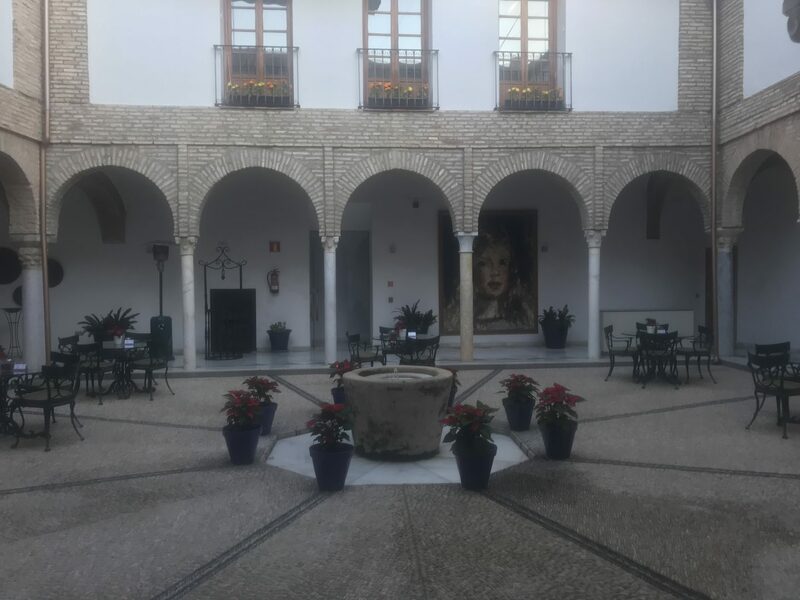 The courtyard at our hotel! 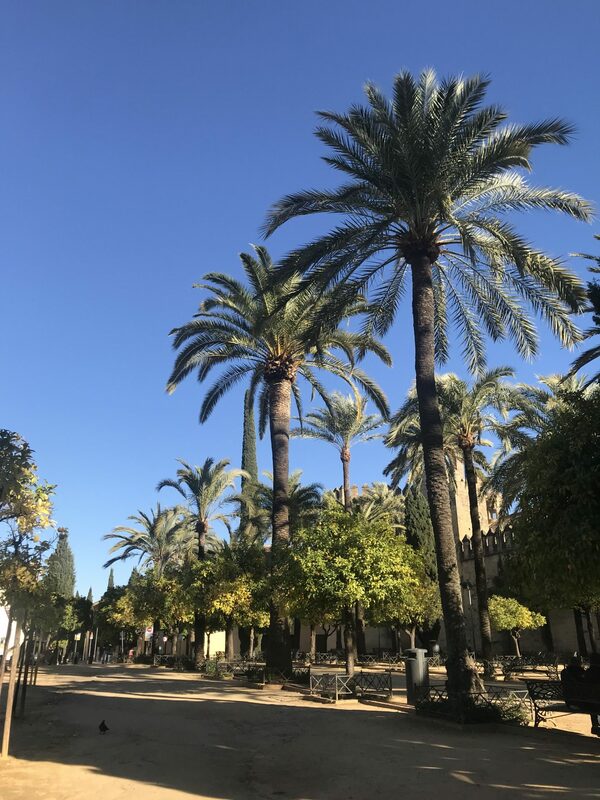 If you find yourself in Córdoba, make sure to visit the Alcázar de los Reyes Cristianos (Castle of the Christian Monarchs). 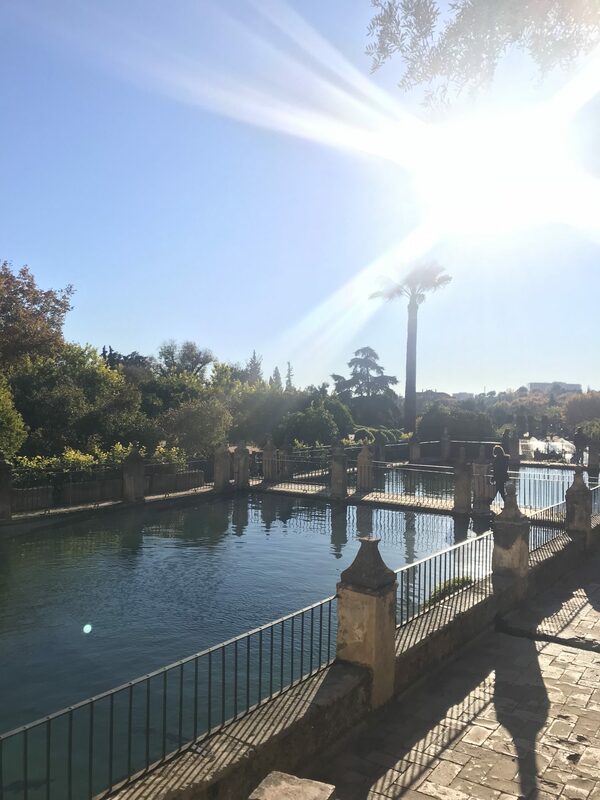 This medieval Alcázar is located in the center and was a home of Isabella I of Castile and Ferdinand II of Aragon. The main attraction here are the perfect gardens. They are clearly so well taken care of and on a super sunny day like we were having, it was stunning. The view is particularly amazing from up top the towers that you can climb to overlook the entire garden area. 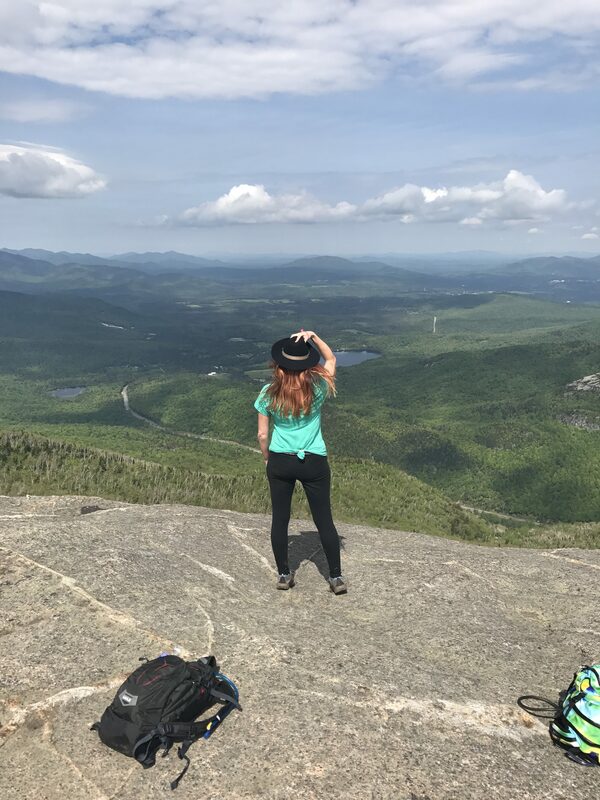 Definitely worth a trip up and the climb up the staircase is fairly manageable. 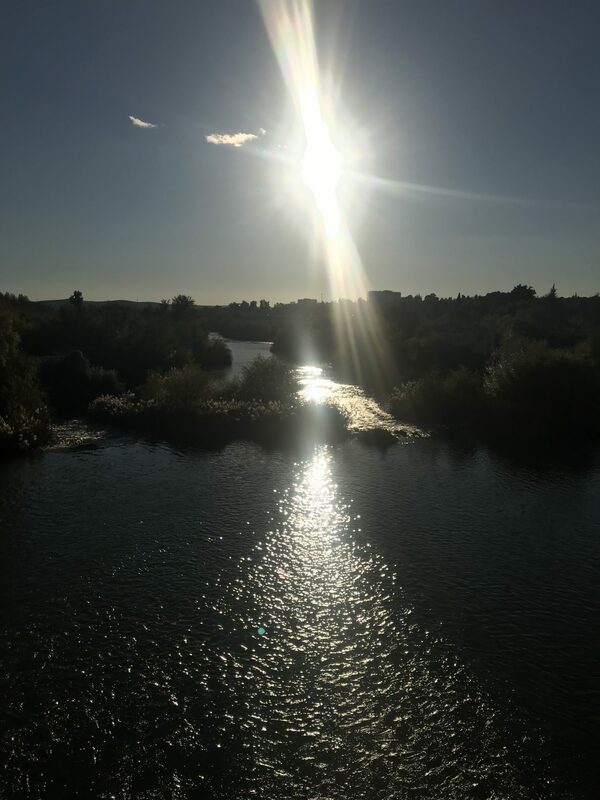 Another super beautiful spot we ventured to was the Roman bridge over the Guadalquivir river that was originally built in the early 1st century BC. Even though it has been restored and renovated several times since, you can definitely see some of the original characteristics. We hit this at about sunset and I would say that may be the way to do it. 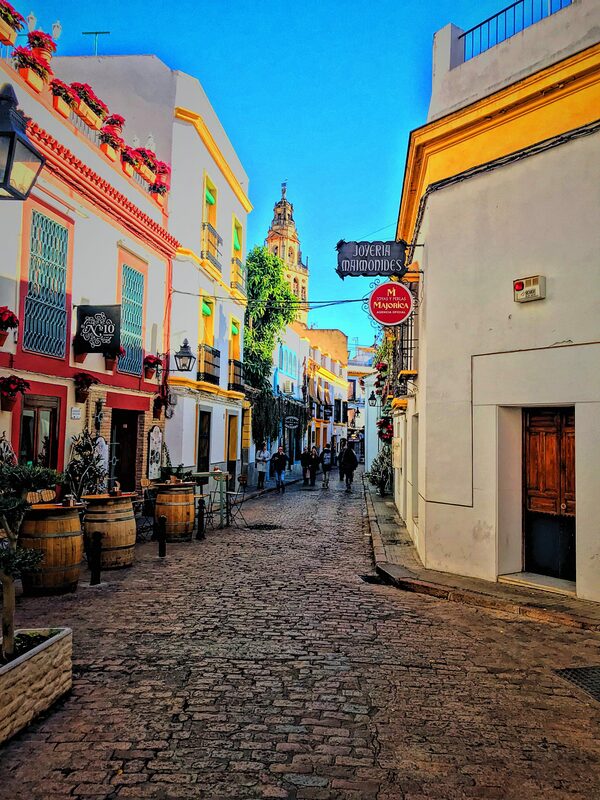 Make sure to give yourself some unscheduled time to just walk the streets in both Old and New town. There’s a lot to look at and a bunch of cute restaurants. 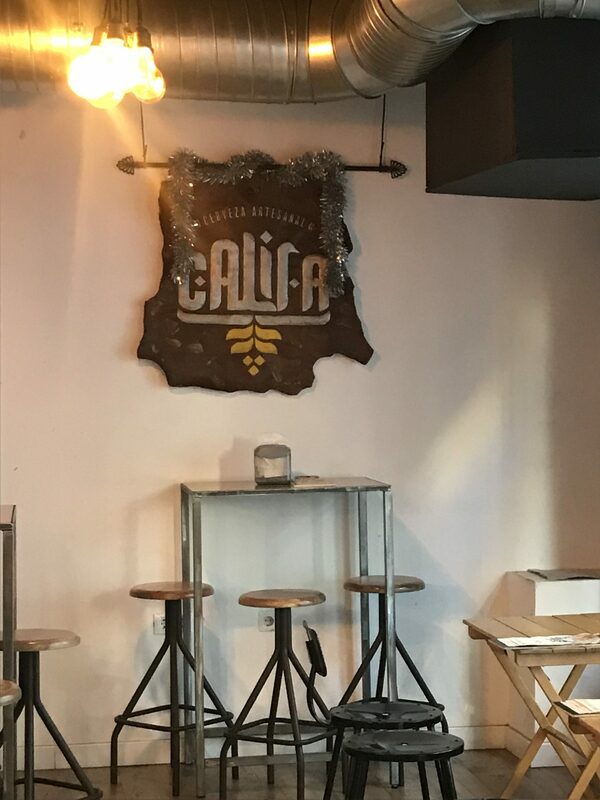 One of my favorite surprising finds was a micro-brewery called Cervesas Califa. We were probably more excited to see this than we should have been but we both love a good brewery. 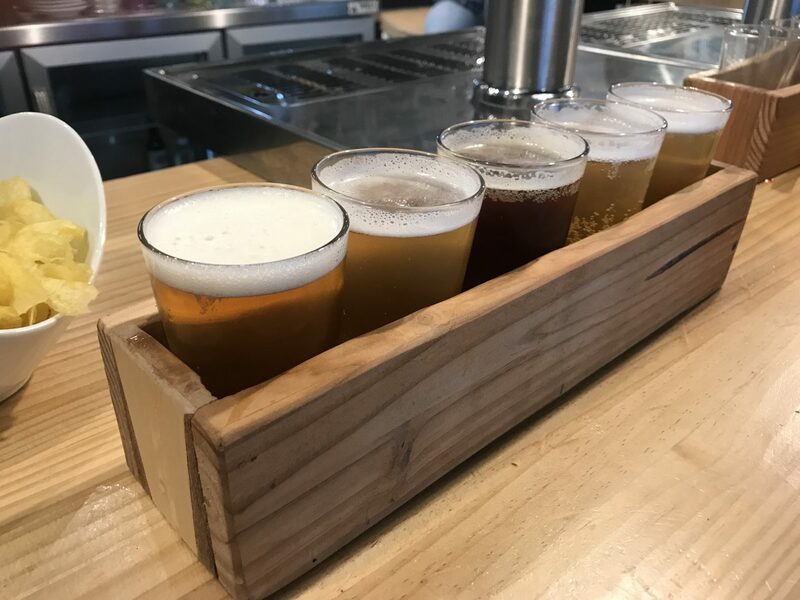 **Flashback to our Amsterdam trip last spring REAL quick: After drinking beer everyday while we were there we declared one of our days in Amsterdam a “non-drinking day” then proceeded to walk like 3 miles to a cool brewery inside an old windmill. Two flights of beer later we realized we had failed at our “non-drinking day”. ** Back to Spain! It was the first and I believe only brewery that stumbled across our paths in Spain so after I stood on the street screaming “BREWERY!” to my cousin we went to check it out. We got a flight to split and were pretty impressed! They have a tapas menu also but we had just eaten lunch so we skipped on that. It was a perfect birthday find. 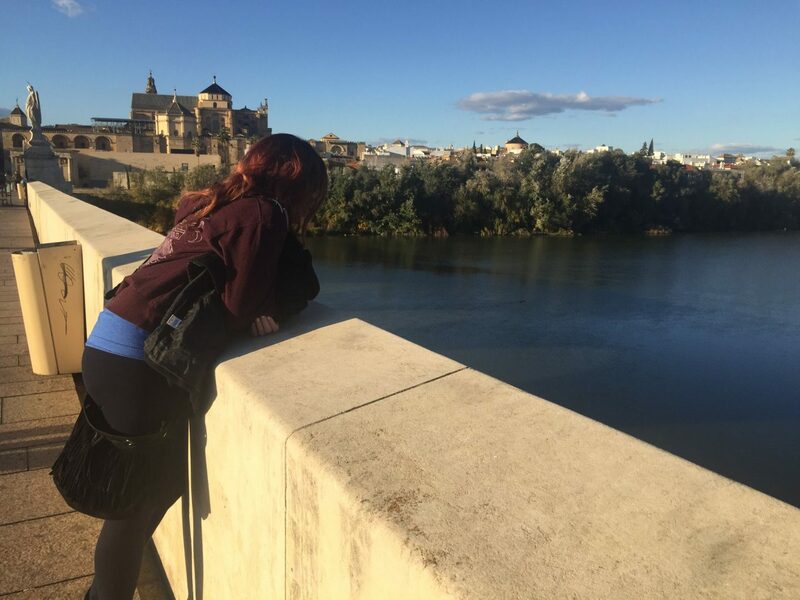 I absolutely loved Cordoba and could definitely have used another day there! It was one of my biggest surprises on this trip.